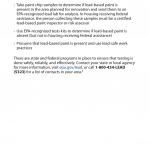 The lead based paint disclosure forms allow for a lessor or seller of residential property, built prior to 1978, to identify that the dwelling may contain this type of hazardous paint to any prospective tenant or buyer. 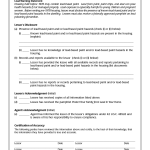 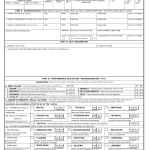 This form is required to be distributed via federal law (Lead-Based Paint Hazard Reduction Act of 1992). 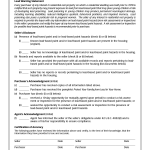 In addition to the disclosure form that the tenant or purchaser must sign there is also a pamphlet that is not required but is recommended to be distributed to the newcomers to the property.